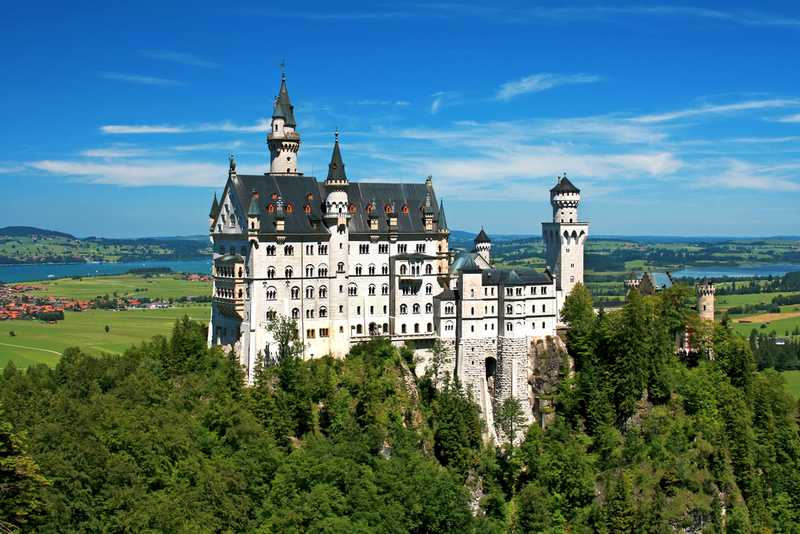 Castle Neuschwanstein Castle Tour: Overnight in castle country on this two day tour from Munich. Your first stop is the elegant Linderhof. King Ludwig's favorite castle, which was built between 1870 and 1879 and modeled on the Petit Trianon at Versailles, France. Warwick Castle Tour: See some of England's famous towns and castles on this full day trip from London. Visiting Oxford, you'll enjoy a private tour of Christ Church College and see many locations from the Harry Potter films including the Hogwarts dining hall. Tour medieval Warwick Castle with waxwork displays from Madame Tussauds and see Shakespeare's birthplace, Stratford-upon-Avon.